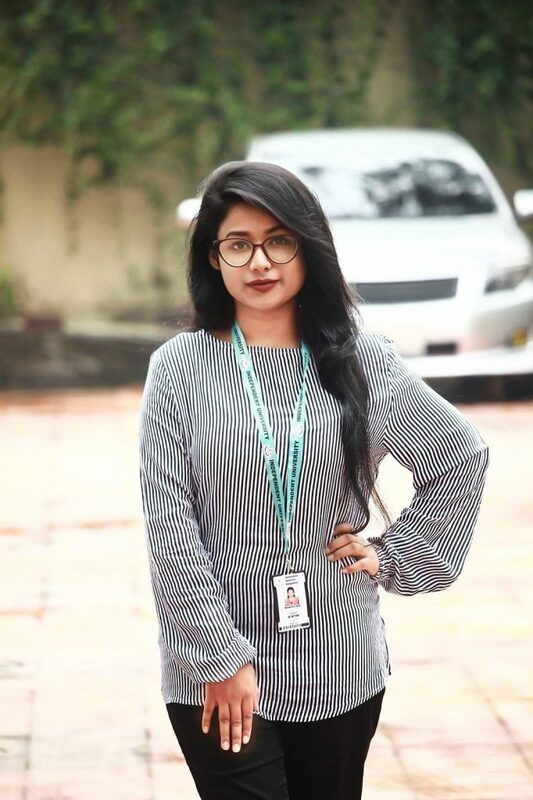 Ms. Masuma Afrin Taniya, a Microbiology student at the School of Life Sciences in IUB participated in the local heats of the FameLab annual science communication competition held on February 22nd and 23rd, 2019, and was among 14 participants selected to compete in the national finals which is to be held on 23rd March, 2019 at the British Council Auditorium. The national champion will compete with the champions from over 30 other participating countries at the Cheltenham Science Festival in the UK for the title of the FameLab International Champion 2019. The annual competition requires participants to explain a scientific concept or discovery within three minutes. By enforcing brevity, the competition seeks to showcase the importance of clear, concise, and thus, effective scientific communication. 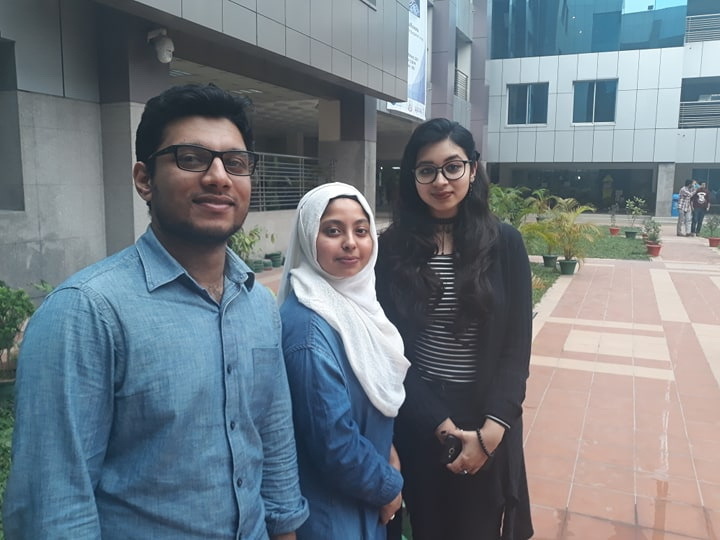 Three students of Biochemistry from The School of Life Sciences at IUB, Ms. Maliha Tanjum Chowdhury, Mr. Jabale Rahmat, and Ms. Humaira Marzia Alam recently participated in the first round of the Sanger Institute Prize Competition, 2019, and were selected to move on to the second and final round. Among the 480 students who participated from 135 eligible countries, the three SLS students are among 34 participants selected for the final round. The Sanger Institute Prize is an outreach competition for undergraduate students from low- and middle-income countries and gives the winner an opportunity to experience the very cutting edge of genomic research. For the first stage, applicants were asked to write an expression of interest detailing their scientific interests and why they want to come to the Sanger Institute. The selected individuals from the first stage are now invited to send in an essay on an assigned topic. The winner of the second round will be offered a three-month internship with a research group at the prestigious Wellcome Sanger Institute during 2019. Travel, living and research expenses are covered by the award. 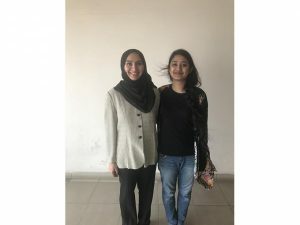 Two students, Samara Tawziat Choudhury and Bushra Anjum, from the School of Life Sciences at IUB participated in the local heats of the FameLab annual science communication competition held between 18th and 24th March, 2018 at the British Council Auditorium. They were among a handful chosen to compete in the national heat which is to be held on 12th April, 2018 at the British Council Auditorium. The national champion will compete with the champions from the twenty-nine other participating countries at the Cheltenham Science Festival in the UK for the title of the FameLab International Champion 2018. 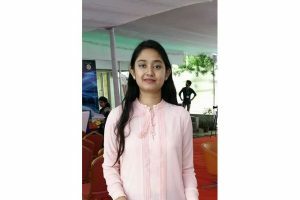 Samara Tawziat Choudhury, an undergraduate in the Biochemistry program at the School of Life Sciences (SLS), has won a full academic scholarship to pursue a Master’s in Biochemistry at North Dakota State University (NDSU) . NDSU is a flagship university in the United States and boasts extensive research programs in the sciences. It is well-known in Bangladesh as the place where noted author Humayun Ahmed received his Ph.D. in Polymer Chemistry. Samara has been a star performer in SLS, maintaining a perfect cGPA. For her thesis, she has done cutting-edge work utilizing computational tools to look at possible co-evolution between host and bacterial proteins. She is currently in the process of writing a manuscript based on her work. 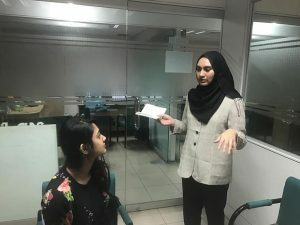 Her extracurricular activities have included writing articles for the departmental blog, a run to the national final of the Famelab International Science Communication competition, and an ambassadorship with the Harvard South Asia Institute, which involved interviewing octogenarians to learn about their experiences during the 1947 partition. We congratulate Samara on her achievement and are certain that she will thrive in her Master’s program in the United States.